Centrocot is a Research and Technical Centre located in one of the most important textile industrial areas of Italy. It provides specialised services to companies of the whole textile and clothing chain. Centrocot highly qualified human resources can perform technical activities such as tests and certification, research, experimentation, training and consultancy. Centrocot offers its technical expertise and experience in relation to environmental sustainability and traceability of processes and products. It carries out a role of connection between the Institutional Research Centres and the companies and, through constant contacts with European and International Partners, it promotes and realizes R&D projects with direct and significant technological benefits for the textile and clothing enterprises. Centrocot is accredited by the Lombardy Region in order to provide training services and certified in compliance with EN ISO 9001:2008 standard. Centrocot offers courses and seminars on technical and managerial issues for companies and both public and private operators in the Textile, Clothing, and Fashion sectors. 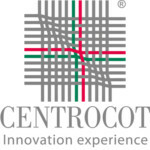 Since several years Centrocot has been developing original training documents, notably for technical textile processes and innovation and recently it has developed own e-learning tool for on-line and embedded courses (http://elearning.centrocot.it), to support training with social and multi-media activities.